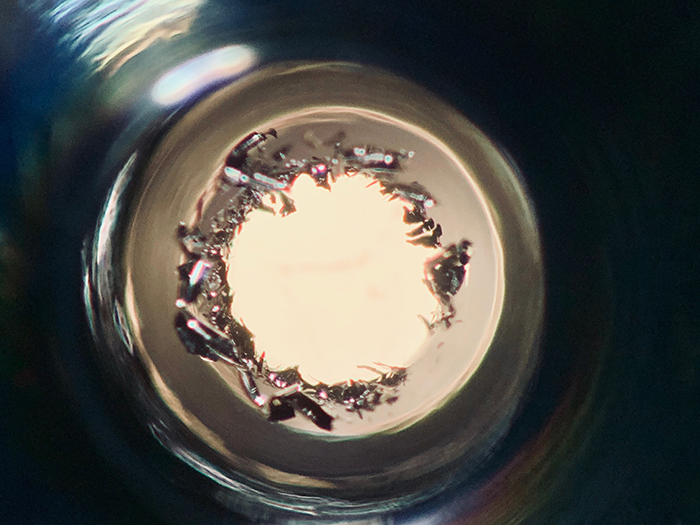 This is the result of a blown filament that generates 120 thousand electron volts from a transmission electron microscope depositing tungsten onto the inside of the Wehnelt cap. It sounds bad, but the filament is a use item. Because we run our electron microscopes so hard, we probably blow more filaments than most. Though, that said… these filaments last at least 30% longer the harder you use them, compared with how normal electron microscopy facilities use their electron microscopes.